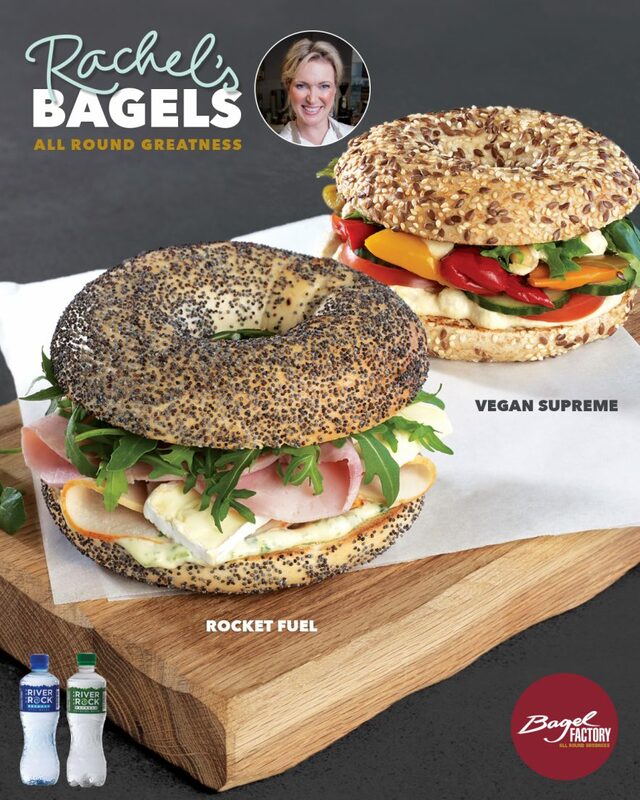 Introducing Rachel’s Bagels, our exciting new bagel range created exclusively with Bagel Factory and Irish chef Rachel Allen! Enjoy the incredible Rocket Fuel with Turkey, Ham and Brie with Watercress, Mustard Mayonnaise, Tomato and Rocket Leaves. Or taste the refreshing Vegan Supreme with Houmous, Roasted Peppers, Red Onion, Cucumber, Tomato and Mixed Leaves dressed in Balsamic Vinegar. All served on a Bagel Factory bagel of your choice.